Donetta George rented an Adams Morgan storefront 35 years ago to display and sell her eclectic collection of salvaged lights, bathtubs, and “a basement full of doors.” Those doors, of course, had knobs. Brass knobs. The Brass Knob evolved, and George ultimately purchased the row house next door and moved the business over in 1986, where she changed the focus to hardware, lighting and decorative items—all salvaged from old buildings and homes. We sent out this postcard when we moved next door—and painted the shop purple. In honor of the store’s 35th anniversary, George’s curated collections is on sale now through Feb. 26. Discounts range from 10 percent off hardware to 20 percent off most everything else, with select items 30 to 40 percent off. A peek into our shop’s curiosities. The shop’s namesake collection of knobs is still on full display, along with decorative hinges, doorknockers, doorbells, window-sash lifts, switch plates and coat hooks. All manner of lamps, pendant lighting and chandeliers populate the space, representing styles spanning the 19th and 20th centuries. It’s not unusual to find transom windows, stained glass, ironwork, fireplace mantels, antique tile and garden ornaments here, in addition to old botanical and bird prints. It’s hard to believe that we started selling vintage hardware and architectural antiques as President Ronald Reagan’s first year in office drew to a close, but it’s true: The Brass Knob has been sourcing classic lighting, mantels, stained glass and—yes—brass knobs since the end of 1981. Come help us celebrate! This is the best carved cherry mantel we’ve have ever had. Renaissance in style with carved foliate frieze, full columns, with its original beveled glass mirror and rich reddish brown finish. This colorful, heavy chunk glass bowl hangs from a brass three-chain cluster and canopy. This stenciled Art Deco globe with a heavy moulded clear glass lens sits on top of a period black brass fitter. Fabulous pair of intact, turn-of-the-century wrought iron gates, including the original hinged posts and latch. The textures, colors, and variety of glass in this leaded and stained glass window are of the best quality that was available at its time. It’s that time of year again—to kick off the Christmas shopping season by exploring all your neighborhood has to offer in its small, independent shops. We and the Adams Morgan community in DC are going all in with discounts, refreshments, and fabulous shopping at some of the city’s unique boutiques. While you’re shopping, the talented folk-pop singer and songwriter Olivia Mancini will be on hand to perform from 2 to 4 pm. We hope to see you next Saturday. Our hours are 10:30 am – 6 pm. In the meantime, we wish you a wonderful Thanksgiving! 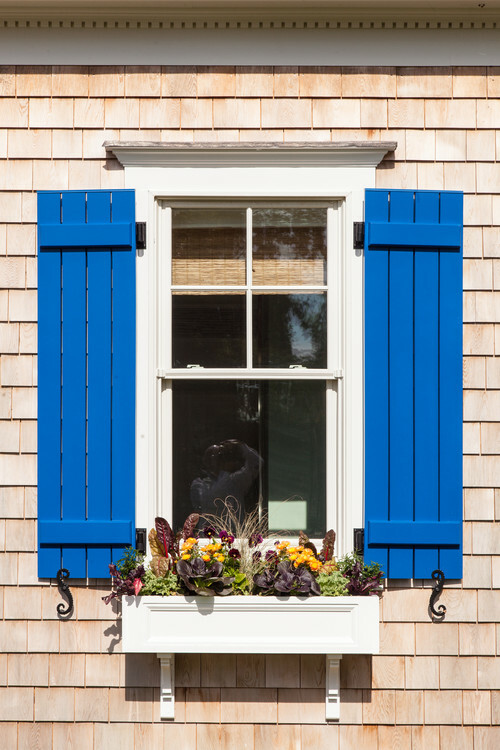 We’ve long since dispensed with the necessity of using our shutters for their actual purpose—protecting windows from the elements. Yet even though we all acknowledge that shutters are added to windows for purely decorative reasons, there’s something to be said for giving them the gravitas of shutters that work as intended. 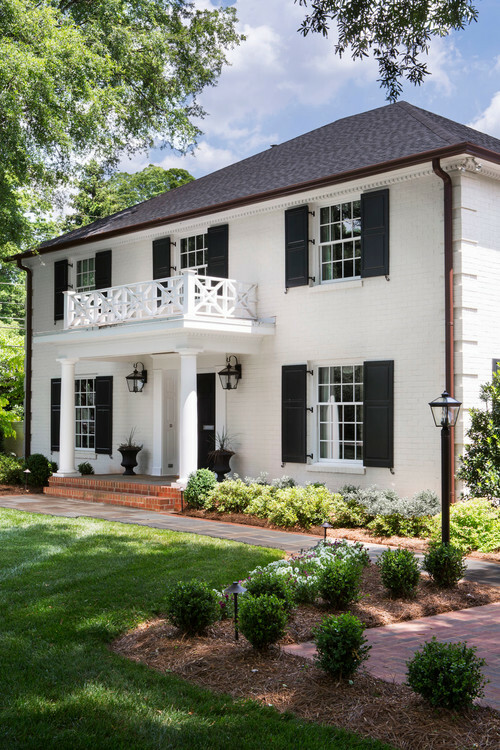 The shutters on this DC home by local architects Barnes Vanze illustrates the point: Not only could they close and fully cover the windows, but they have the appropriate hardware to keep them open: Shutter dogs. 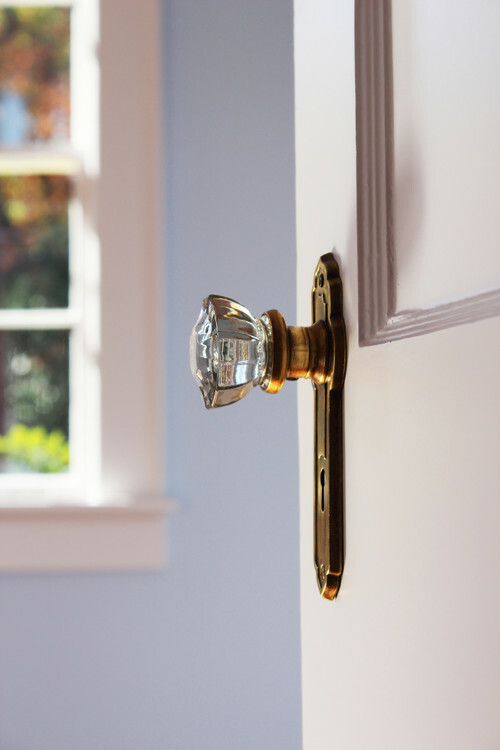 One of the things we love at The Brass Knob is sourcing antique and vintage hardware to complement doors and windows in home, from knobs (obviously) and hinges, to lesser known—but no less important—fixtures such as shutter dogs. Not only do they serve a purpose, but in their heyday, metalworkers made them in oodles of styles and finishes—and we’ve got a large collection of them here. 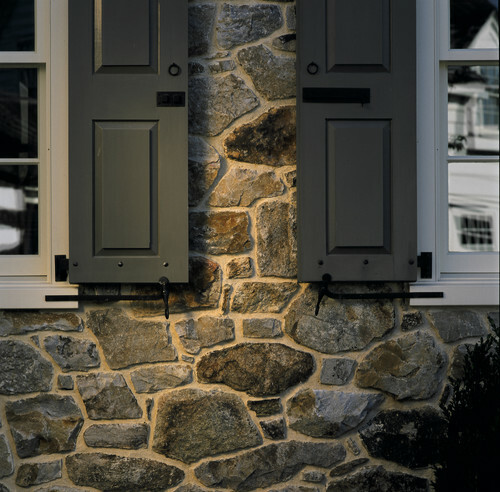 We typically sell them as replacements for shutters that already have them, and are missing one or two. 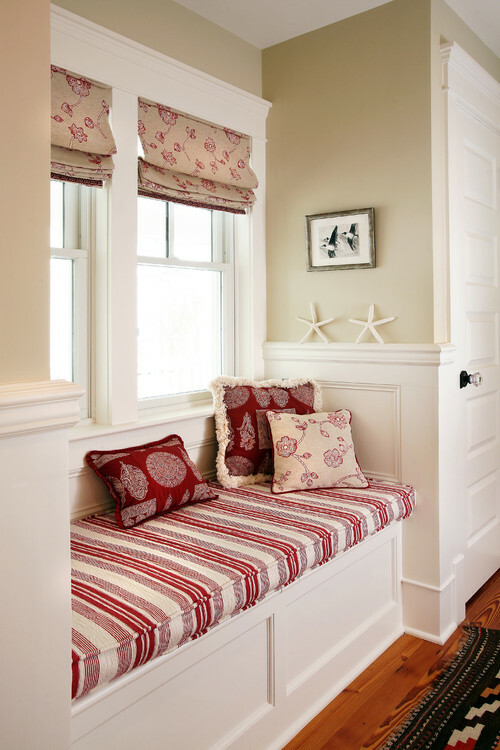 Beach Style Landscape by West Barnstable Kitchen & Bath Designers Pastiche of Cape Cod, Inc. But shutter dogs come in much more whimsical designs such as stars, shells and floral patterns. 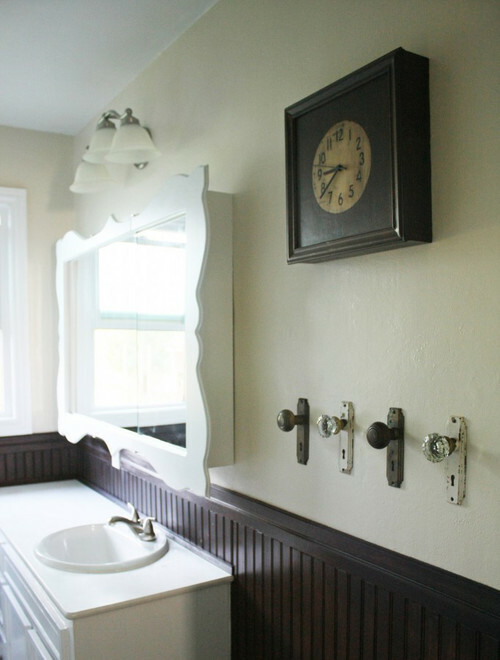 Our period hardware is showing its age, but if you do not like this look we can refer our customers to metal refinishers to restore them to their original appearance. Sometimes, though, it’s just a matter of stripping old paint or wire-brushing off some rust before painting them anew. In any case, it’s worth a visit just to see the craftsmanship of this old metalwork, crafted when shutters had to be kept open when they weren’t, well, shut. DC is a fantastic market for antique and vintage lovers—there are dozens of dealers scattered around the region, many with a certain focus, so there’s no end to the unique finds you can score without traveling too far. The only trick is finding all of us. Most of us are small, mom-and-pop dealers with minuscule—if any—ad budgets. The site officially launched in June, and we joined them in August. They had very nice things to say about The Brass Knob in this news announcement, and we now have our own page on the site. Be sure to visit www.attic-dc.com to learn about all the terrific antique and vintage dealers in the Washington, DC metro area. We have a much larger selection, of course, in our online catalog, but whichever way you find us, we’re happy to help you find the perfect antique or vintage accent for your home. We at The Brass Knob love customers who are fans of antique doorknobs—they are our people! That’s why we’re so honored that several members of the Antique Doorknob Collectors of America have come through our doors over the years, looking for unusual knobs to add to their collections. Even one of the group’s founders, Maude Eastwood—an author of several books on antique knobs—always came by when she was in the DC area. Just like the antique doorknob collectors, we’re always driven by the thrill of the hunt, casting a wide net for the gems we unearth in unexpected places. We’re thrilled, though, that The Brass Knob has become a reliable—and expected—place for our collector friends to haunt. New and old collectors are always welcome here! It’s that time of year again—our Summer Celebration Sale! Everything in the shop is discounted anywhere from 10 to 30 percent, and some items are marked down up to 40 percent. Mention this blog post, or our sale email, and get an extra 5% off any one item. 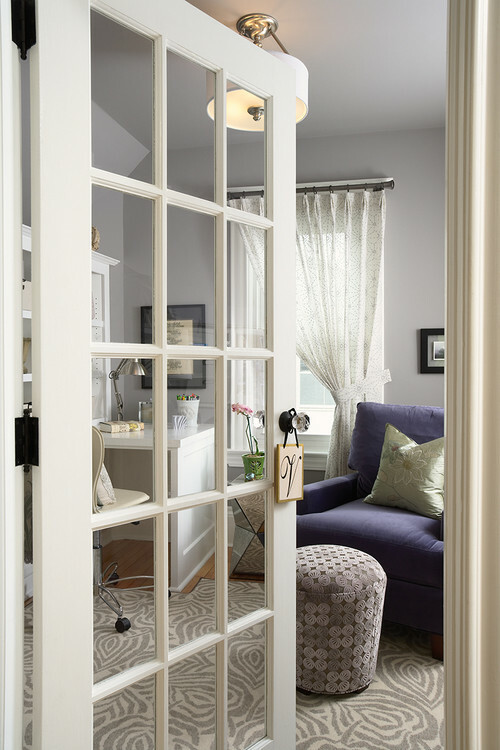 Antique door frames dress up this Mid-century home’s entry. Architectural elements dress up this shelf display. Who knew you could create a bird house using antique newell posts? We love how this customer took vintage tile and incorporated it in her new bathroom design between the bathtub and window. This glass slot-machine panel would be perfect in someone’s man cave. We’ve got a pair of these decorative iron brackets, which would make lovely wall art, inside or outside. These green glass tie backs are so unusual and lovely; you could use them for your curtains, or even as wall hooks in a daughter’s bedroom. 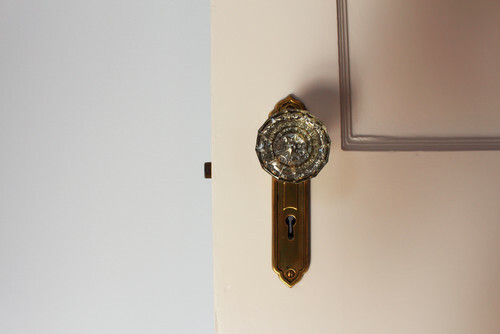 We’re not called The Brass Knob for nothing—but this front-door knob is one of our more detailed and artful examples. We’ve got a pair of these sconces—wouldn’t they look handsome in your foyer? There’s a lot more cool stuff in our online catalogue, but it doesn’t come close to what you’ll see in person. Stop in before the end of the month and take a look. 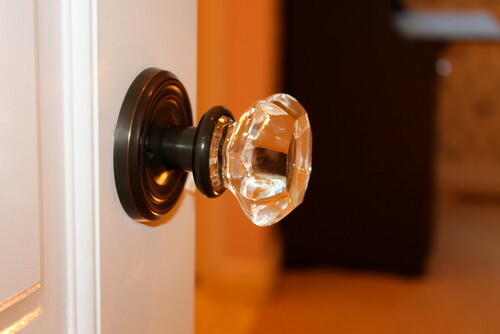 Yes, our name is The Brass Knob, but that doesn’t mean we don’t have a weakness for GLASS knobs, too. We’ve recently been selling a lot of them, so we know a lot of our customers feel the same way. 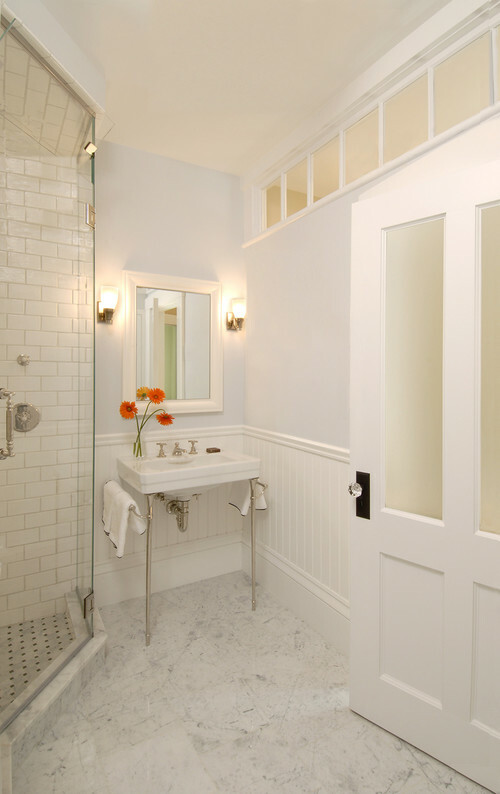 Traditional Bathroom by Cambridge General Contractors Charlie Allen Renovations, Inc.
Glass doorknobs were being sold as early as 1834, where there is a reference to them in the Boston Silver Glass Co. directory, and numerous patents for glass knob designs were filed in the mid-to-late 19th century. We have many examples ranging from this period through the 1940s. They will make an instant first impression in your home, before anyone’s stepped inside the room! Stop by and take a look at our collections in person. Clear octagonal glass with star-cut surface, 1890s – 1920s. Faceted cut glass door knobs, 1890s. Octagonal glass knobs with stepped shanks, 1890s – 1920s. Ideas for Garden Ornaments—and a Sale! With so many kitschy garden ornaments on the market (gnomes or pink flamingos, anyone? ), it’s hard to remember a time when hand-crafted urns, pedestals and statuary were highly revered. Entire books have been written on the art of garden ornament, however, such as Barbara Israel’s guides, and The Brass Knob has got dozens of prime examples. Better yet: They’re all on sale—this weekend only, May 9-10—where you can purchase unique pieces at 20 to 25 percent off. Here’s a sampling of what we’ve got, plus some inventive ideas on how to repurpose antique and vintage architectural elements into functional accents among the flower beds. A large column capital becomes a small garden seat or plant pedestal. Statuary turns an average yard into a personal statement. 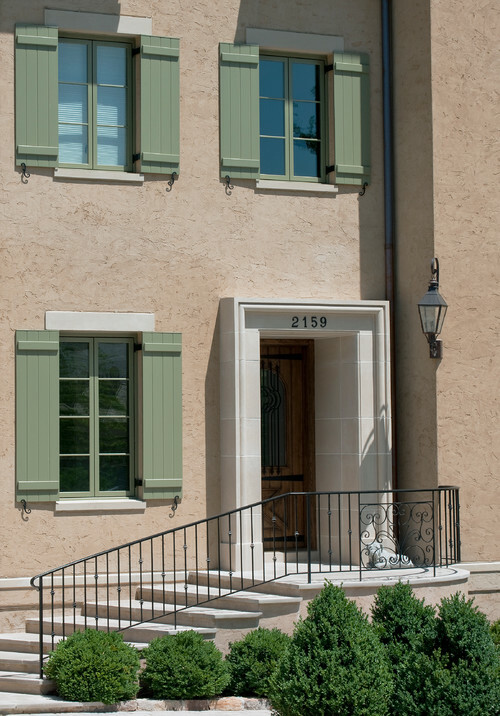 The large fragment of Art Deco limestone is ingeniously used as a porch step. Something as simple as an antique copper roof finial can make all the difference in a garden. Antique ornamental cast ironwork adds personality and interest to an other wise bland privacy fence in this paved garden setting. The bird bath and stone planters don’t hurt, either. We’ve got many more of these items in our inventory, which are going on sale this weekend. How about these decorative ironwork pieces for the patio door? Or these, to bookend some outdoor steps? Cast-concrete figural fountain of a child holding a dolphin. If used as a fountain, the water comes out of the dolphin’s mouth. One of a pair of cast-iron garden urns with fruit garlands and lion masks at the base of each handle, underneath the seated putti. We look forward to seeing you this weekend. Mother’s Day might be the perfect opportunity to help Mom make her garden more beautiful! Posted in Garden Ornaments, Sale	| Comments Off on Ideas for Garden Ornaments—and a Sale! At The Brass Knob we feel sentimental about ALL our vintage wares and architectural antiques, but there’s a special place in our hearts for those pieces that remind us of simpler, happier days. In some of our rose-colored nostalgia, everyone dressed better and looked better—and that approach extended to public spaces, even the corner market. There’s a brilliant Web site of old pictures that can help us remember these times. Shorpy gives you a delightful walk down memory lane, and has an excellent cache of photos from Washington landmarks, such as the District Grocery Story chain. Note the gorgeous lighting in these shops — a far cry from the fluorescents in our modern markets. This DGS was at 7th and E streets Southwest, around 1935. This photo is from a DGS, also in 1935. This one was on Connecticut Avenue, same era. This photo shows the S.A. Gatti stand at the Center Market in 1926. How often do you see this beautiful lighting these days? Sure, restaurants all over town have got it, but not the corner market. We’re thankful to Shorpy for taking us back to these times, and we’re also excited to have some of our own deco lighting that also hearkens back. We just received this unbelievable set of art deco pendant lights when a local restaurant decided to sell them when they moved to a new location—how amazing would they look in someone’s kitchen? Stop in the next time you’re inspired to take a trip down memory lane!